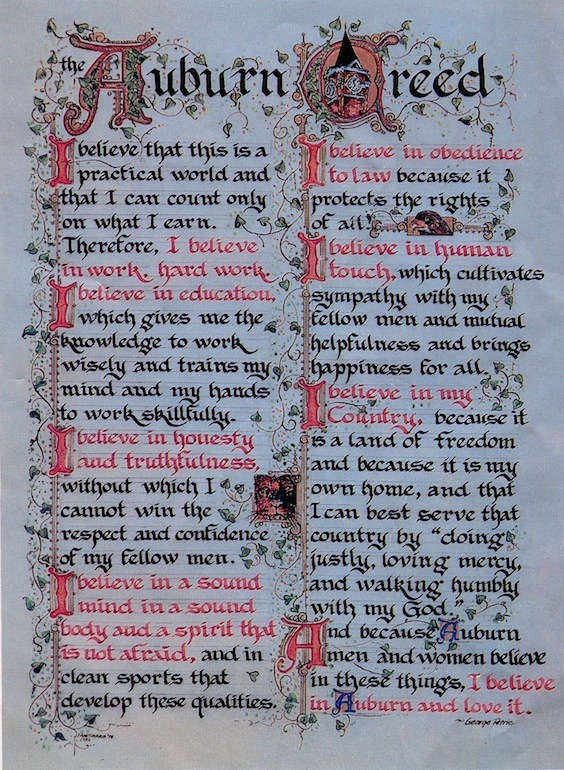 Here’s a print of the Auburn Creed produced by 1975 Auburn University graduate Pam Morris that boldly went where no fancy copy of the Auburn Creed had gone before. 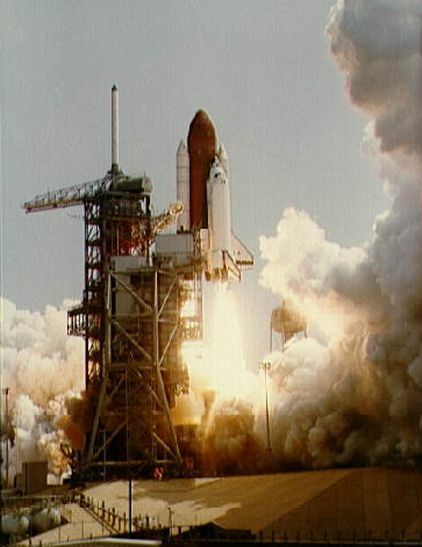 The Creed was apparently a crew necessity for the fourth flight of the Space Shuttle Columbia (June 27-July 4, 1982), which carried Auburn grads and only Auburn grads: Ken “Played by Gary Sinise” Mattingly (’58) and Henry Hartsfield (’54). How many Auburn grads does it take to get space? Two. “And now it’s my pleasure to introduce to you two sons of Auburn,” Ronald Reagan greatly communicated upon their return to this realm. 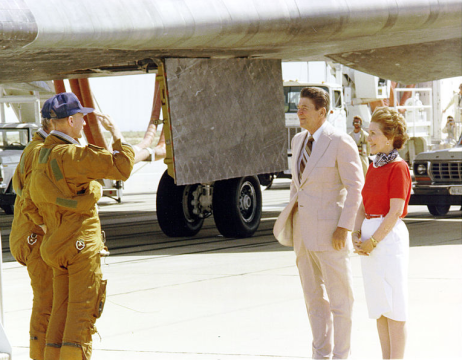 Related: Auburn grad in line for Apollo 11 flight wanted ‘War Eagle’ to be first words spoken on the moon. Is this copy of the Creed available anywhere? It is beautiful! !